Another year has gone by and we are gearing up for our upcoming Spread The Aloha Tour in Japan this summer. 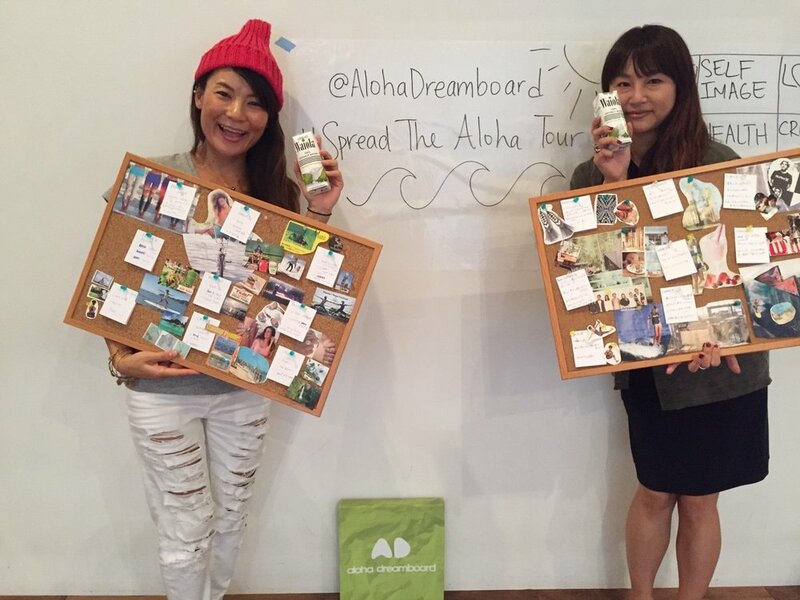 Our founder and life coach, Tiare Thomas will be teaming up with our dear friend, model, and yogini, Angela Maki Vernon again to share dreamboard and yoga workshops across the country, including Tokyo and Nagano. We set our intentions to create a peaceful and healing experience for your mind and body. Our combined dreamboard and yoga workshops are perfect for you if you are looking to gain clarity on things that you value in life and to create more space in your life for health and abundance. People have shared that since they last attended one of our workshops their life has changed in a positive way in their love and relationship, career, financially, and most importantly their health and happiness. If you are interested in signing up for any of our workshops and/or retreat please click on the dates below .